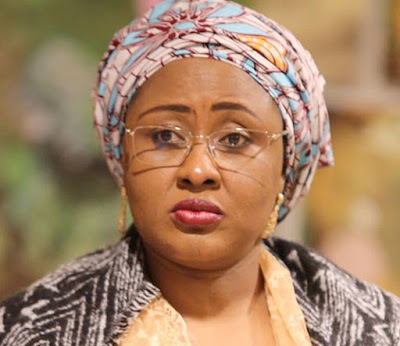 Barely a week after Zahra Buhari raised concerns over the poor state of the hospital in the villa despite the N3 billion budgeted for the hospital, wife of President Buhari, Aisha Buhari, has called for a probe on how the budget of the hospital is being spent. Speaking at the opening of a two-day Stakeholders meeting on RMNCAH+N – Reproductive, Maternal, Newborn, Child, Adolescent Health and Nutrition, holding in Abuja, Mrs. Buhari, described as appalling the poor state of facilities in at the medical center. “Few weeks ago I was sick as well, they advised me to take the first flight out to London. I refused to go. I said I must be treated in Nigeria because there is a budget for an assigned clinic to take care of us. If the budget is N100 million, we need to know how the budget is spent. Along the line, I insisted they call Aso Clinic to find out if the X-tray machine is working, They said it is not working. They didn’t know I am the one that was supposed to be in that hospital at that very time.” she said.